Central Park and Manhattan, Upper West Side with colorful Fall foliage. 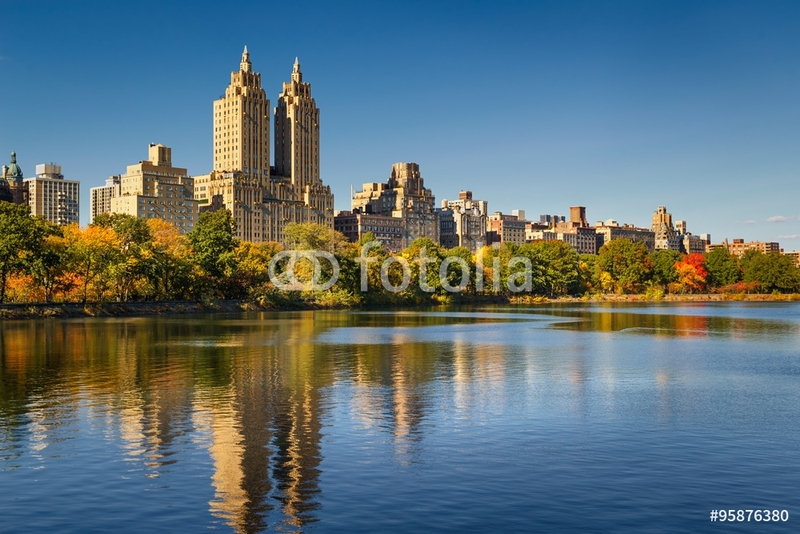 A clear blue sky and buildings of Central Park West reflecting in the Jacqueline Kennedy Onassis Reservoir. New York City.